As the CEO of a global event management company, it is important that I continually learn what our industry has to offer. 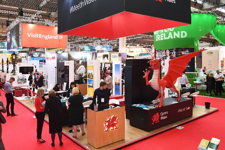 For the past three years, I have had the privilege of attending IMEX Frankfurt, the worldwide exhibition for incentive travel, meetings and events. Over the course of four days, I had the opportunity to network with fellow event planners and suppliers, attend educational sessions, conduct business and make new friendships from all around the world. 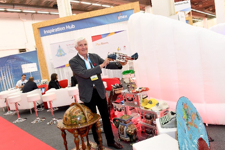 This year, IMEX Frankfurt hosted close to 9,000 buyers and visitors. There was no shortage of educational programs from EduMonday, Association Day, the first She Means Business conference and the education sessions (hot-topic table, campfires, research pod, playrooms and seminars) on the exhibitor floor. There was an opportunity to learn at every turn of the conference. The show floor experience was amazing with more 3,500 suppliers for 88 countries represented. From convention bureaus, major hotel companies, DMC’s, technology providers, airlines and many more. 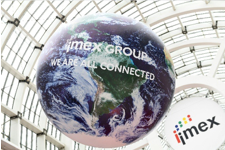 IMEX Frankfurt is a perfect platform to make new -- and renew -- connections, keep pace with fast-changing event technology, connect with suppliers, and explore the latest trends. 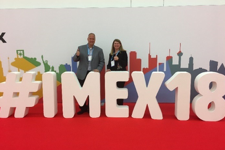 Over the years, I have met and worked with so many amazing, talented people and companies that I have had the pleasure to meet at IMEX. This the greatest reason I will continue to attend. I highly recommend that you attend IMEX Frankfurt www.imex-frankfurt.com and/or the upcoming IMEX America www.imexamerica.com!